Wisdom of Kammbia 3.18: Resolutions Don’t Work! I agree with this header. My 2013 Reading Resolution has changed significantly since I posted it at the beginning of the new year. My resolution got off to a bad start when I didn’t finish reading The Sparrow by Mary Doria Russell until the middle of January. And if you’ve read my list, I was supposed to read In Sunlight and In Shadow by Mark Helprin for that month. I did read my February book, The Unspeakable by Tessa Stockton. However, I got sidetracked when I starting reading the Song of Solomon by Toni Morrison after The Unspeakable. I read one hundred forty pages of Song of Solomon and couldn’t finish it. Instead of reading In Sunlight and In Shadow, I went to my local library here in San Antonio and bought a copy of Pirate Freedom by Gene Wolfe for a dollar and started reading that for the rest of February and now into March. Whew…..I can see why resolutions don’t work. It is so easy to get sidetracked and once you get off that highway you can never get back on. March’s Book-Vale of Laughter by Peter De Vries: This novel was recommended me to by someone on Library Thing. De Vries was considered one of the funniest American novelists and compared to authors like Evelyn Waugh and Mark Twain. However, all of De Vries’ novels are currently out of print and there’s a push to have his work republished. I’m determined to stay on course until the end of year. However, I’m done with resolutions after this year. 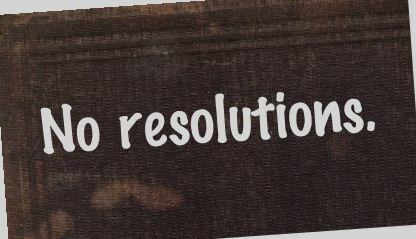 Has anyone else gotten off track with their resolutions for 2013?